** look for your /permalink to find page views. With Google Analytics you can track which images are viewed and which shopable links are clicked on. This event tracking works in both the gallery as well as in the embeddable widget. l2h-modal - images that are clicked on and shown in the modal. 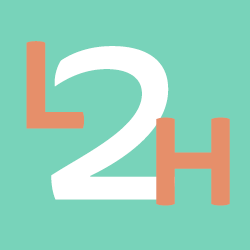 l2h-outbound - clicks on shoppable links. By drilling down into these events in your google analytics accounts you can get more granular information. For example you can find out how many of the l2h-modal events were from your Like2Have.it gallery vs how many were from one of the widgets that you may have embedded somewhere on your site. And if you drill down further you can see URLs of which photos were most popular (cut/paste these URLs into your browser to see what images they are). If you drill down into the l2h-outbound events you can see if the clicks occurred in your Like2Have.it gallery or via one of our embeddable widgets and you can also see which URLs were most clicked through to. You can use the same google analytics ID that you use on your main website, or, if you prefer to keep the statistics seperate, you can create a new Google Analytics account and use that one instead. then do a search for your campaign name. If you are using a custom domain for your Like2Have.it Hosted Gallery you can setup a new View for tracking purposes. Login in to your Google Analytics account and navigate to Admin. From here you will see 3 columns, the last on the right will be the View column. In the drop down, select "Create New View". Type in your Filter Name - "Like2Haveit Landing Page"
Select Filter type to "Include Only"
Select Source or Destination to "Traffic to the Hostname"